Members of the Cloud Appreciation Society have been telling us they want to hear more from the Society – more about the science and culture of the sky and more about how to identify the different cloud formations. 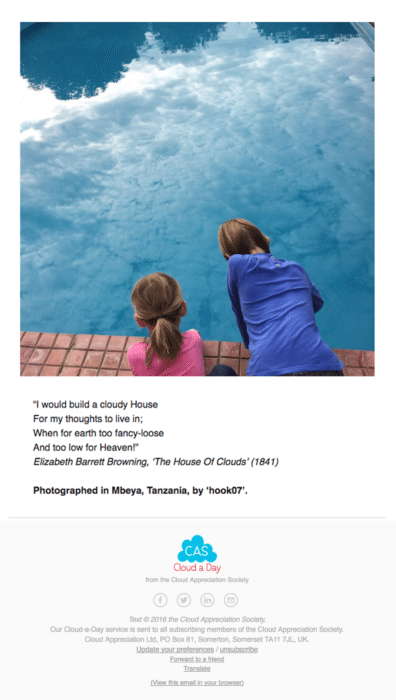 And that is why we have launched our Cloud-a-Day email service. 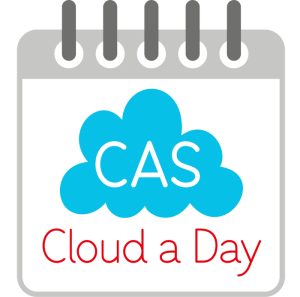 Here you can find out about subscribing to a Cloud a Day, and the benefits that come with it. We also have information on how you can help the Society grow and develop by becoming a Supporting Member. 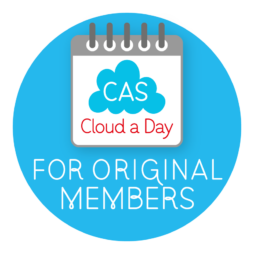 All our original members, whether or not they choose to take up a subscription, continue to have full access to the website and to receive our Somewhat Occasional Cloud Newsletters. We’ve always said that spending a moment each day with your head in the clouds will have a profound effect on your wellbeing. That is why we started our Cloud a Day email. Every morning, you’ll receive a cloud in your inbox. Sometimes it’s a photograph of an amazing formation by one of our members. Sometimes, a tiny piece of cloud science. We might send an inspiring sky quotation or a detail from a classic piece of cloud art. Each day it’s different and takes no longer than 30 seconds to read. And our Cloud-a-Day email is never, ever about selling stuff. 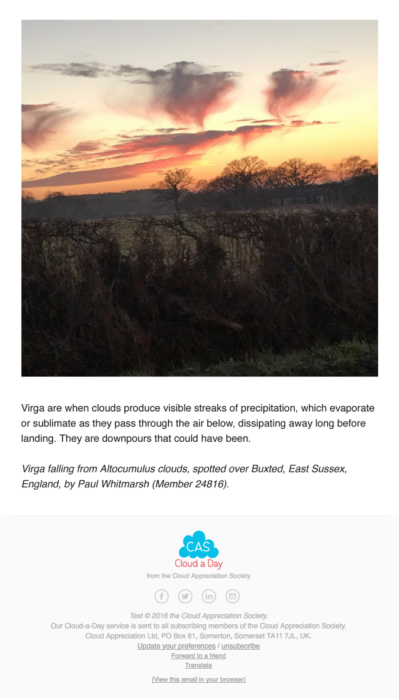 As a Supporting Member of the Cloud Appreciation Society you will be helping our community grow and spread an appreciation of the sky around the world. We are planning, for instance, to enable translations within the website, which will open up the Society to many more cultures. The sky is the most unifying and universal parts of Nature and strongly we believe that an appreciation of it can bring people together. By becoming a Supporting Member, you will also be helping us to expand our participation in schools and adult education. In addition to everything other members receive, our Supporting Members also have free access to all the cloudspotting video courses that we are currently developing, as well as free entry to any streaming services that we are able to set up for Society conferences and 15% off everything on our Cloud Shop. Society founder Gavin Pretor-Pinney’s TED Talk about the value of cloudspotting. 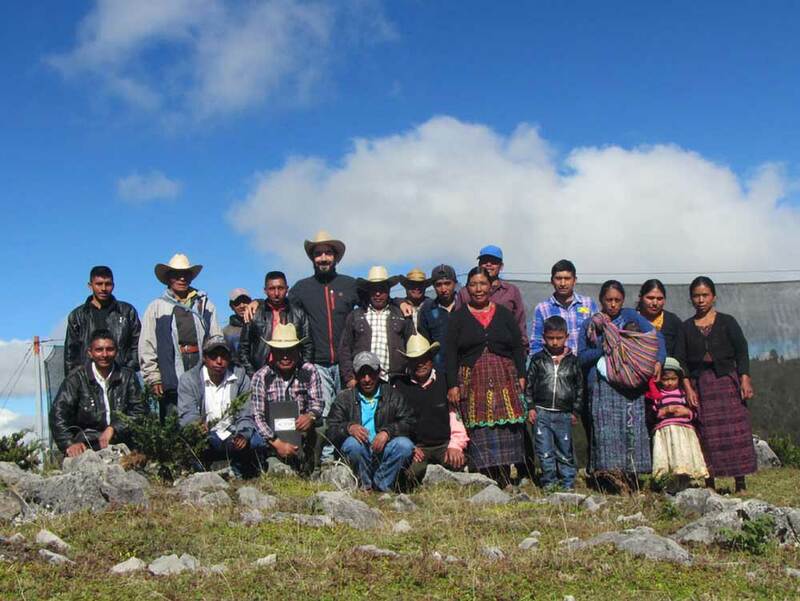 We donate 5% of all our membership fees to a fantastic project in the highlands of Guatemala that ‘harvests’ mountain fog. Run by a Canadian non-profit called FogQuest, the project uses simple technology to turn the abundant fog of the region into fresh drinking water needed by the local communities. 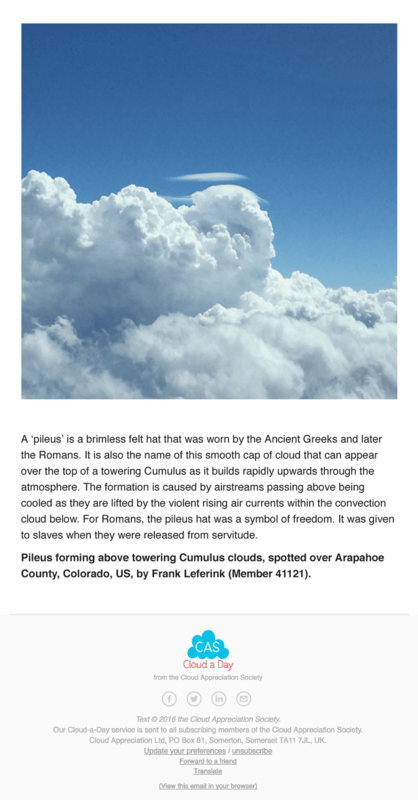 If you are already a member of the Cloud Appreciation Society, you can take out one of our subscriptions. One you have added the subscription to your basket, you just need to checkout.